Ms. Cotton Ding is a self-made entrepreneur, who founded Cotton’s restaurant & bar at the age of 26. At an early age she struggled to earn her means and finance her dream Of getting a higher education. To achieve her goals, she took several jobs starting as a shoe shining girl, factory worker, waitress and bartender. She landed her first job in a Western restaurant by learning the phrase: “Hi, My name is Cotton. I am from Hunan.” Working at night and studying during the day she was able to attend university. After graduating, she found herself jobless, penniless and hungry, so she took a job as a bartender in a Western bar. She soon developed a passion for mixology and customer service. “1 became the best bartender I could be. I was making new cocktails all the time. The staff and guest loved me – when I was behind the bar the whole place lit up.” One day a customer mistakenly thought she was the owner and asked her to buy shares. When she told him she was only the bartender he said; “What a shame! 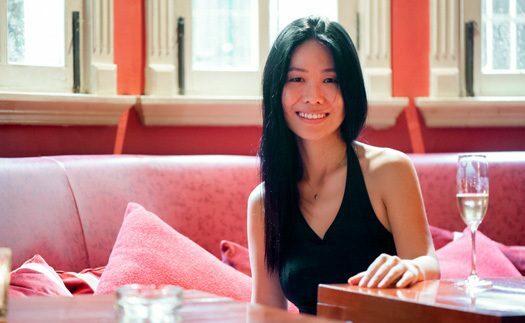 You should open your own place.” Seven months later in 2003, Ms Ding opened her first Today Ms. Ding is the proud owner of two beautiful restaurant & bars located in villas around the French concession with her name, Cotton. “Cotton is my name and the name I gave my restaurant-bar. You might wonder why I picked it? A cotton flower symbolizes character and inner strength. A cotton flower is soft, warm, and is full Of sunshine. 一个家: 在炎热的日子里, 在美丽的花园里度过慵懒的夏日. 在寒冷的冬天, 簇拥着温暖的壁炉. 于是2003年的9月, 第一家棉花酒吧一开张, 高朋满座, 成为上海的一个绿洲.